Our original finish. ﻿The Sabertooth is the Ultimate Beer Drinker's Tool. 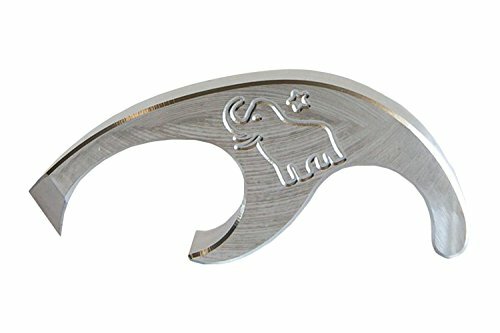 The Sabertooth features 4 functions: it opens bottles, makes the perfect hole to shotgun a beer from, pulls can tabs, and makes every can a punch top for a vent for better beer flow. It also fits on your keys! This product is 100% made in America!!! Makes a great gift for anyone that loves Beer - Made in AMERICA!!! If you have any questions about this product by Raging Mammoth, contact us by completing and submitting the form below. If you are looking for a specif part number, please include it with your message.